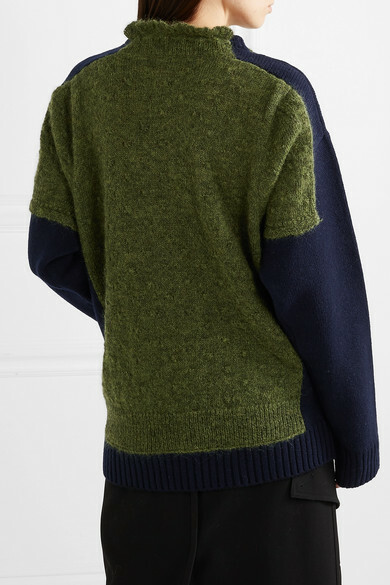 Art aficionado Jonathan Anderson is no stranger to the 'trompe l'oeil' technique used by painters to deceive the eye - the designer has translated it to this sweater, which resembles two different pieces at first glance. 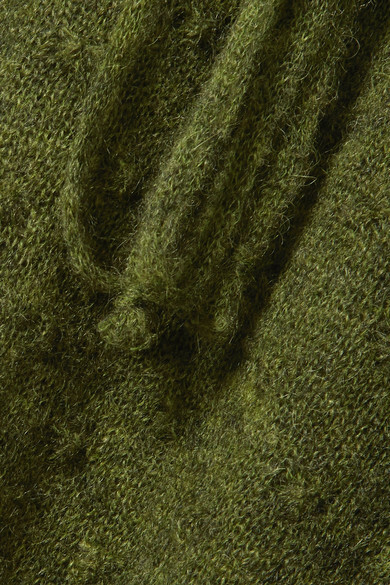 This army-green and navy style has been made in Italy from merino-wool blend spun with mohair for fuzziness. 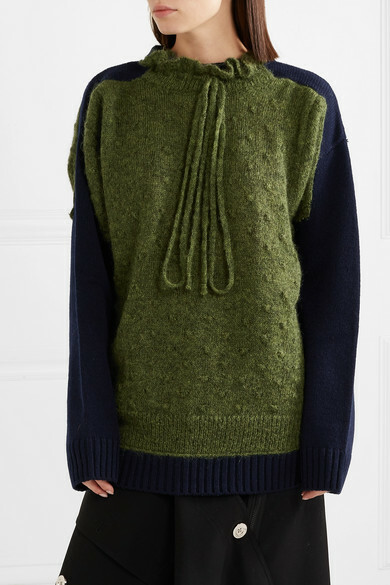 It's knitted for a relaxed fit and has oversized drawstring ties dangling from the ruffled neckline. 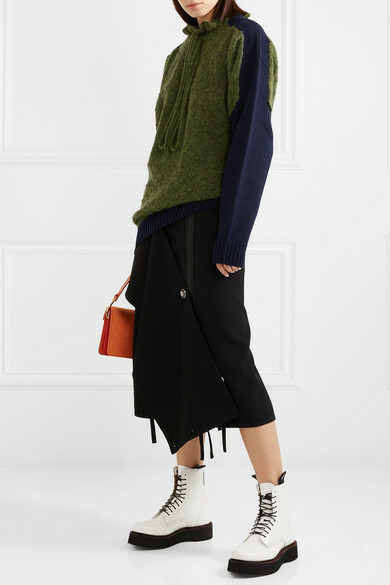 Shown here with: 3.1 Phillip Lim Skirt, JW Anderson Shoulder bag, R13 Ankle boots.